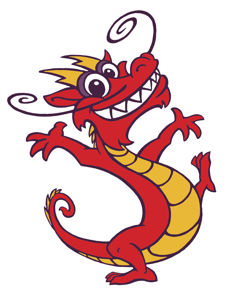 Welcome to Rice Paper Kite where our mission is to provide teachers and families with high quality materials that engage students and inspire them to learn more about Chinese language and culture. All of our offerings are reviewed by an experienced teacher and Mandarin speaker so you can be confident that the information you’re presenting is accurate and classroom tested. Bring China into the classroom and open up a whole new world to your students! Our Denver-area Mandarin instructor, Tara Bardeen, is available as a program consultant/coordinator, after school Chinese class teacher, visiting classroom speaker and private tutor for individuals, families and small groups. Use the contact form to get in touch and start learning Chinese! Chinese New Year, also called the Spring Festival, is the most important holiday of the year and spans 14 days, culminating with the Lantern Festival on the 15th day. This lively holiday is filled with iconic symbols such as red envelopes, lanterns, dumplings, lion and dragon dances, firecrackers and lucky posters, which means there’s lots to explore with this quintessential Chinese holiday! Learn more about the sights, sounds and customs associated with Chinese New Year here.